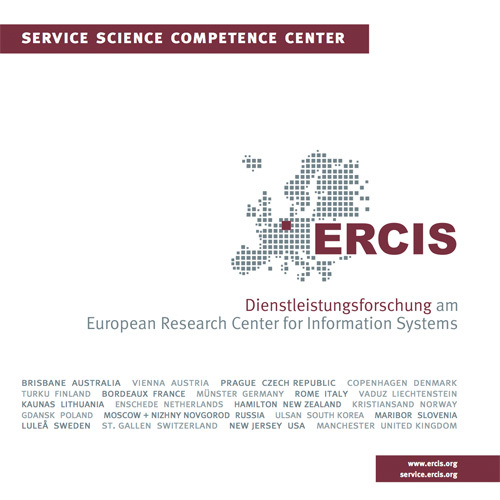 EOL-IS | ERCIS Competence Center "Service Science"
An immature battery technology appears to be the crucial obstacle to impede a quick diffusion of electric mobility in Germany. One core factor are the high initial costs of traction batteries (eCar batteries) which cause electric vehicles to be about three times as expensive than vehicles propelled a compression ignition (CI) engine. To improve the total cost of ownership (TCO) of a battery and an electric vehicle, depleted batteries could be reused after their first life-cycle, after they have reached their so-called End-of-(First-)Life (EOL). By definition, the EOL is reached as soon as a battery can store less than 80% of its original electric capacity. Depending on the technical properties of a battery, different second-life scenarios can be realized. For instance, a battery or its components could be used to propel smaller vehicles, to store green energy in stationary applications such as in smart homes, or to power small electronic devices such as technical equipment used on construction sites. Already from the year 2020, we can expect a significant amount of eCar batteries that are available for second-life applications, generating a huge business opportunity for second-life scenarios. The EOL-IS project’s goal is the development of services (e.g., pay-per-use business models, engineering services, maintenance services, refurbishment) for the second-life of eCar batteries that can be offered with the battery as a product-service system. Based on the chemical and technical features of individual batteries, the battery’s use history, and its condition, a custom-fit product-service system is configured in order to enable the re-use of the battery. The EOL-IS project is kindly supported by German Ministry of Education and Research (promotion sign: 01FE13023). More information is available at: http://www.eol-is.de.